After the Cloaked Intentions Featured Episodes finished most of my interest in playing STO faded. I did manage to log in enough to finish the FE on both alts, but felt like more of a chore to do than a joy. At least to login and get started, I always have fun once I’m actually playing. It just seems to take a lot to overcome the gravitational force that the Rift icon exerts on my mouse pointer. Saturday though, I had no problems playing for a couple of hours. I logged in to do the shuttle daily as I work towards crafting my very own Delta Flier (daily has to be done ten times and each time requires twelve anomalies scanned). But after I’d finished, I ended up running quite a few other missions and taking a tour of Longasc’s TOS ship interior. A quick side note: Cryptic did an amazing job with the TOS interior. I’m not much of a TOS fan really, I used to watch the occasional rerun growing up but it wasn’t until TNG that I became a fan. So where did this resurgent interest in playing STO come from? 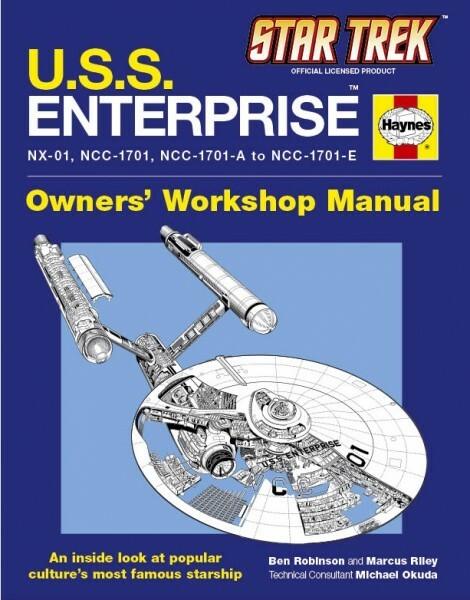 I bought the Enterprise Owners Manual on Friday from a Borders that’s going out of business. Reading it peaked my Trek interest and motivated me to play. The same thing happens after watching one of the movies or TV episodes or reading the novels. I guess that’s one of the benefits of using an existing IP. Just imagine if there was a new TV series. Even if it wasn’t tied directly to the game, I can imagine a lot of fans logging in to play after watching episodes just because they want to stay in the Trek universe longer. It’s old news now, but in the latest Engineering Report, Dan Stahl stated the teams intent to change their schedule and possibly staff up more in order to do nine or ten Featured Episodes a year instead of five like they previously planned. I’d say that’s ah excellent indicator of how popular the FE’s are and how much interest in the game they generate. Hopefully the STO team is given the resources to make it so. Regarding Feature Episodes: More of them are a good thing. They should be aware that they will face the same problems as a TV series, though: 1.) People will demand the FE’s weekly and pout if there is a gap. 2.) The FEs may never be an excuse not to add more content, the Foundry is nice but even if they are on a budget and small team, people will and IMO can demand at least some new content nevertheless. 3.) People will demand high quality of the FEs and measure them against the better FEs. I added a few updates to my earlier post about the Foundry. I’m planning a followup probably on Friday, to see how many missions have been made and maybe review a couple. Considering people are already pouting about content gaps, I don’t think they have much to lose there. 🙂 As far as new content in addition to FEs, I kind of count FEs as content don’t you think most people would too? Ah Guild Wars, the game I wish had hooked me but didn’t. What can I say. Of course are FE’s content – but when people expect them every week, you know what happens when the FE ends, we experienced it ourselves: People rarely log on, if at all. True, but I kind of like having a week or two off. I think the big issue is people not being able to see that something else is scheduled (like now). But having a small break between each arc is good for getting alts caught up. It was great to see you in game! Alot of fun to chat with someone, even if you’re both off collecting data samples on your own. I look forward to your thoughts on the Foundry, too — in fact, I set up a whole new blog to express my thoughts, ha. I’m planning to post impressions and tips on making missions (once I get around to learning it myself) and probably reviews on any community missions I like.